Golden dorado are an electrifying sport fish that live in the fertile fresh waters of northern Argentina. The Rio Paraná and the Iberá Wetlands in Corrientes Province offer a variety of fly fishing adventures for this dynamic species that's on the 'bucket list' of just about every fly fisherman. For photos, go to the Dorado Images on our Gallery Page. We work with several partner lodges and guide operations, expicitly chosen for their quality of dorado fishing, accommodations, and all-around appeal of the experience. But as with all of our fly fishing expeditions, you will be led by El Encuentro guides, to ensure a consistently high-quality experience. When you spend the time and resources to finally have the opportunity to fish for golden dorado, it's important that your guides know you, your specific fishing preferences, acccommodations requirements, and how to ensure your expectations are met or exceeded. This is an important way El Encuentro trips are different from other fishing outfitters — we're not a booking company, we are a comprehensive outfitting service that puts you, the client, as our top priority. El Encuentro Fly Fishing’s most northerly partner lodge — Estancia El Dorado — offers a unique opportunity to fish for golden dorado in the gin-clear waters of the Iberá Marsh in October and November. The marsh forms the headwaters of the Río Corriente and harbors a prolific population of golden dorado, a stunningly beautiful fish known for its voracious strike and aerial acrobatics. Golden dorado feed on sábalo and other baitfish in the fertile marsh waters and regularly reach sizes in excess of 20 pounds. Guests fishing for golden dorado will cast 8- to 10-weight rods from boats poled through the marsh, or on foot to sighted fish in the flowing waters of the Río Corriente. The Iberá Marsh is the second largest wetland ecosystem in the world, eclipsed by only the Pantanal in Brazil. Located in Corrientes Province in northern Argentina, the marsh supports a diverse array of fish and wildlife. In addition to golden dorado, guests can expect to see capybara, caiman, and countless species of wetland birds. Fishing for golden dorado in the Iberá Marsh is an experience unlike any other. 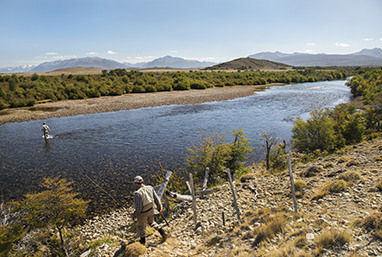 Why not extend your Argentine trout fishing adventure — before or after your trout fishing down in Esquel, take a short flight up north and spend three days chasing dorado with our partner fishing outfitter on the Golden Dorado River Cruiser in January or April. 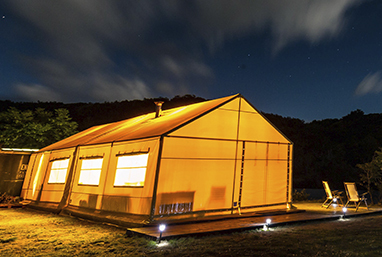 This surprisingly comfortable 'mother ship' offers clean, quiet, and modern accommodations from which you can explore the many islands, canals, and side channels that define the truly vast expanse of the Rio Paraná. Enjoy breakfast as the sun rises before setting out to a river that is second only to the Amazon River in length among South American rivers. Golden dorado will attack poppers and streamers as you cast into eddies and moving water with help from expert guides. Then head back for an classic asado (barbecue) and a few glasses of Argentine malbec on the back deck of the boat, as you trade stories in the relaxing sunset of the Paraná basin. If you've never tried golden dorado fishing, it's an absolute must for the adventurous fly angler!